For centuries, cob has been used to build homes throughout the UK, especially in the south-west of England and Wales. 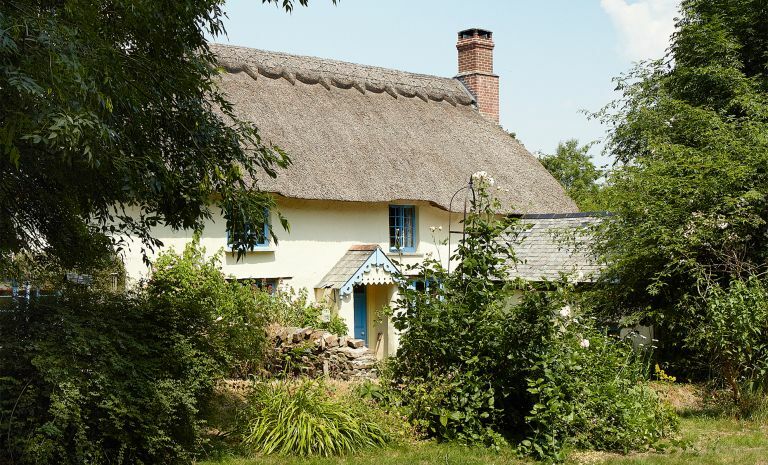 One such house is Buckingham Farm — a thatched, 16th-century Devonshire longhouse bought by Suzi and Chris Carman. The property first appeared on the couple’s radar when they were visiting Chris’ family in West Devon. Back then, their home was a farm in Sussex, where Chris has run a self-livery horse yard for over 30 years, and which he visits every other week. There, the couple had brought up their two daughters, Nikki and Heidi, but when the girls both relocated to Amsterdam, the couple felt it was the perfect time to make a change and move closer to their family and friends in Devon. In the end, the longhouse proved to be an enormous hands-on renovation project that took more than a decade to complete. As well as the seemingly never-ending list of jobs to be done, the fact that both Suzi and Chris were working full time in another county, and Chris was often in another country, certainly didn’t help with the couple’s schedule. One major priority in the renovation was warming up the chilly house. ‘There was no central heating in place when we moved in, so Chris had to install it throughout the house,’ says Suzi. ‘The thick cob walls now help to keep the heat in during winter.’ Chris also completely updated the plumbing and wiring, and replaced the rotten floors upstairs with new pine timbers. Suzi got stuck in, too, but sometimes felt that with one step forward, the renovation would move five steps back. ‘Every time I stripped off wallpaper in the bedrooms, some of the wall would fall away,’ she recalls. Indeed, there was an awful lot to be ‘made good’, but happily, materials didn’t always blow the budget. All of the oak used for new doors, windows, and the library and living room bookshelves came from the farm in Sussex. Later, being at the house every day made the final push to finish the renovation much easier, and now the pair are happily ensconced in Devon life. Neither Chris nor Suzi ever sit idle, however — always planning a new enterprise, working in the flower and vegetable garden or thinking of the next home-improvement project.